Anyone else excited for Sonic Colors? To me, it looks exactly how Sonic Unleashed should have been. A person in one of the gameplay trailers even described it as being comprised of just the daytime stages from Unleashed. While those stages were epic, you had to play them over and over again with different objectives, which kind of killed the whole point. I really hope Colors doesn’t do that. Also, Locke wrote a blog on the subject. 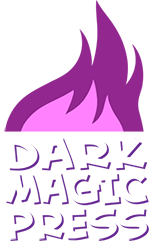 This entry was posted on Monday, October 18th, 2010 at 12:00 am and is filed under Comics. You can follow any responses to this entry through the RSS 2.0 feed. Both comments and pings are currently closed. Locke had this comic in his head for a very long time. It’s gone through a few different iterations, but that middle panel has always been the constant. 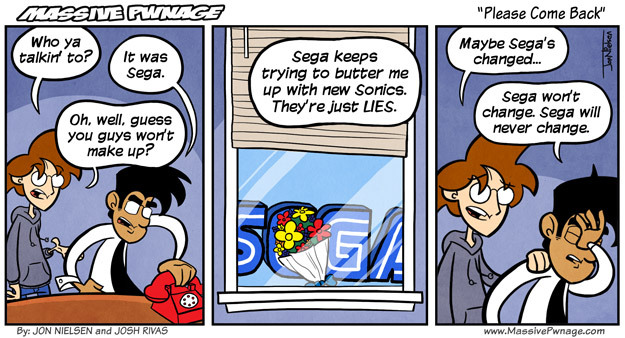 Of course it’s been consistent… Sega is ALWAYS at the window with flowers. One word for the new game. and ence, i never see you on EVE anymore. Makes me a sad panda. Money is tight so I had to cancel it. I never really had the time to play it anyway.